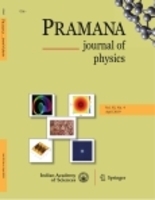 Compton scattering; electron momentum density; band structure calculations, 𝛾-ray scattering. In this paper, a new design and construction of a low intensity (100 mCi) 241Am 𝛾-ray Compton spectrometer is presented. The planar spectrometer is based on a small disc source with the shortest geometry. Measurement of the momentum density of polycrystalline Al is used to evaluate the performance of the new design. The measured proﬁle is in good agreement with the existing theoretical data and our density functional calculations.